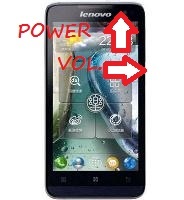 The model P770 from Lenovo, also known as a dual-core IdeaPhone, is one of the oldest phones from this mobile company. Launched towards the end of 2012, this one supports the use of two different SIM cards and has a high-resolution 4.5-inch display. These are just some of the many cool features that are part of what brought this smartphone to the top of clients’ preferences. Before we learn more about its technical specifications, though, let’s give some time to an important procedure: the hard reset for the Lenovo P770. While some of you may home come here specifically to read about this operation, some others might still be confused. If you’re in doubt and don’t know whether or not you should use these steps on your phone, it is important that you realize what a master restore is. To put it shortly, this one is indicated when the phone lags, shows errors or restarts/shuts down by itself. It can also be used when you forgot the password or want to resell it. In case you don’t know much about the way this works, the perfect summary would be the following: you will get all data removed from the RAM while the OS will be restored to original version, and you’ll also get rid of all settings including the password. This being said, you might want to back up some of the data on your 4GB internal memory. Depending whether you went for the 8GB, 16GB or 32GB for your microSD card, you will be able to transfer most of your important documents there. Using Jelly Bean from Android as the operating system, this is an efficient, powerful device that lets its users take advantage of Google Cloud option for storage. Apart from this, relevant features are the 1.2 GHz CPU, as well as the Mediatek MT6577 chipset and PowerVR SGX531u. 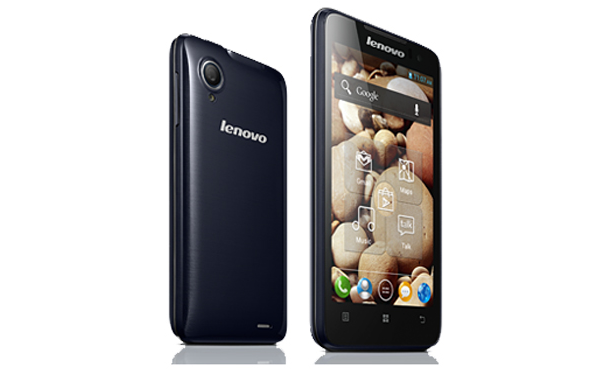 Coming with FM Radio and A-GPS technology, the P770 from Lenovo has a 5MP camera and a VGA one on the frontal side. Power off the device and remove attached cords. Press Power On, then hold Volume Up. While simultaneously holding both keys, wait for the menu to pop up. Allow the Recovery Menu to load and use Volume keys to select options. Scroll down to Wipe Cache and confirm this selection with Power. Choose Yes using the same keys combo and the reboot will begin. Press the Menu key and wait for the Apps to load. Go to the Settings icon and touch Backup & Reset. Read all options and select Factory Data Reset. Touch the Reset Phone option and press Erase Everything. When all this is fully done, the phone will be like a brand new one, and you will be able to use the backup so you can restore all files. These can include everything from pictures, selfies and videos to files from work, important contacts, recording phone calls, other audios and messages. Whatever you saved into your previously-created backup will be easily restored, apart from the applications that have to be installed once again.